The musical heritage that the Manganiyars boast of remains immeasurable. A Muslim community of folk musicians from Rajasthan, the Manganiyars have persevered with their craft over several generations. They play the role of not just musicians but genealogists and oral historians preserving their formidable parampara. A strong emphasis on tradition remains a hallmark of this community. And yet, the gifted folk musicians who’ve honed their craft after years of dedication remain just as receptive to experimentation and collaboration, and to finding new voices to bring focus to their music. 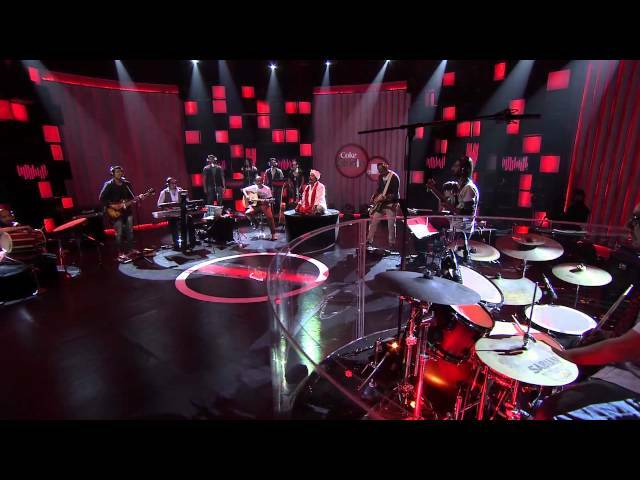 The second season of Coke Studio premiered with a version of ‘Saathi Salaam’, an old folk song, which was interpreted and rearranged by Clinton Cerejo. The remarkable voice of Sawan Khan Manganiyar —each itinerant vocal melody betraying profound emotion —forms the heart of thispiece, as he sings of retaining a single-minded commitment to improving the self and, in effect, moving a step closer to God. Cerejo highlights the virtuosity of Sawan Khan Manganiyar, crafting a steadily developing rock arrangement and cascading vocal harmonies around it to heighten the moods of the song, often treading, tastefully, into progressive elements. Traditionally, the Manganiyars of Rajasthan have relied on the system of patronage established in the state. Even today, they play at any major celebratory event that their jajman —their patrons —hosts weddings, birthdays, functions of all kinds serve as a constant source of revenue, in addition to seasonal showcase music festivals. A strong sense of identity runs through the community, and the artists tend to perform—with unwavering pride —in their traditional attire of a kurta, a dhoti, and their distinctive pagdi. They share a symbiotic relationship with the royalty, wherein these troubadours perform at the behest of the aristocracy of Rajasthan, narrating ageless tales passed down over generations, and are rewarded financially and in kind. That relationship between the patron and the artist, especially in an evolving country such as India, may not be as secure now as it once was, but the legacy still endures. Further, the Manganiyars, given their proficiency and the accessibility of the songs itself, have, over the past few years, crossed over into the mainstream as well. There’s an underlying fluidity, a sense of freedom, which runs through the folk music of the Manganiyars. It’s something that’s captured the imagination of conventional audiences previously unaware of these traditions. In fact, Coke Studio too has played a big role in bringing their skills into the spotlight. The songs offer a limitless canvas, and the talents of someone like Cerejo are perfect to direct this music into an unexpected and exciting space. For ‘Saathi Salaam’, Cerejo develops on the intensity of the original, and the arrangements of the song —as well as the vocal lines that Cerejo himself sings, to complement Sawan Khan —play the role of adding new layers and colours to the composition. In fact, in addition to ‘Saathi Salaam’, previous seasons of Coke Studio have featured a range of artists belonging to this tradition. Songs featuring the well- respected Mame Khan and Kutle Khan, among others, have seized the attention of audiences. Given the ever-evolving musical vocabulary of Coke Studio, and the spirit of collaboration that Manganiyar musicians often bring, their rich musical traditions will no doubt feature again and again in future editions too.